Brooks is getting greener and made its first biodegradable shoes in the market, now available in the Philippines. 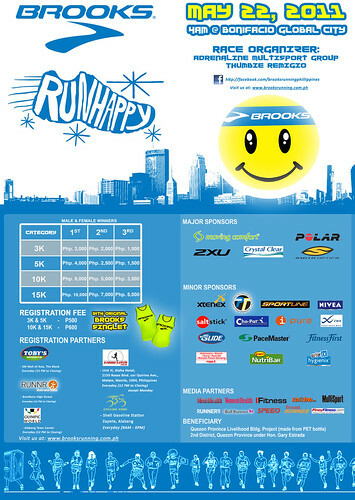 Sports Resources Inc., as the official distributor of Brooks is making this years’ first event called “Run Happy” which is happening on May 22, 2011 at Bonifacio Global City in Taguig City. The event was officially launched last May 5, 2011 at New Horizon Hotel in Boni Avenue, Mandaluyong City among media supporters and sports bloggers.